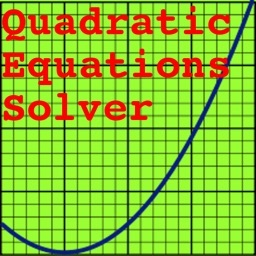 Quadratic Equation Solver with Steps by Intemodino Group s.r.o. 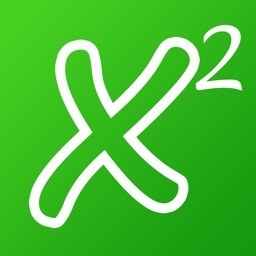 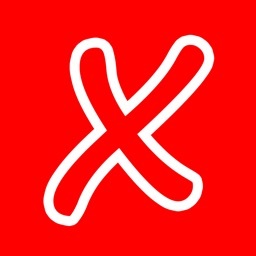 A handy calculator with steps to solve linear and quadratic equations. Quadratic Equation Solver can handle a wide range of linear and quadratic equations, including equations with fractions and parentheses. 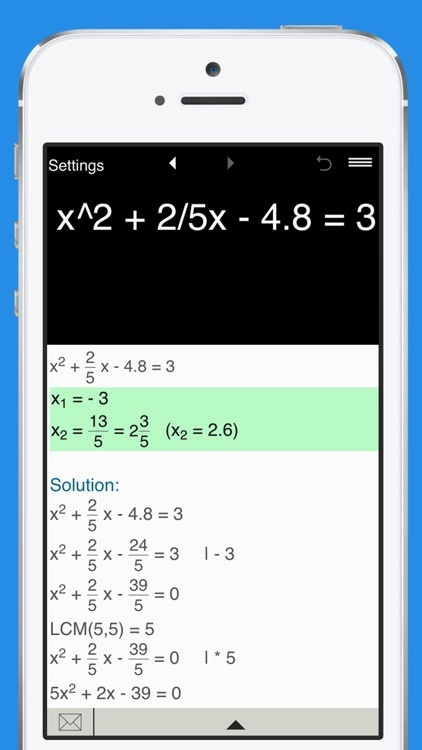 Solves quadratic equations with real and complex roots. 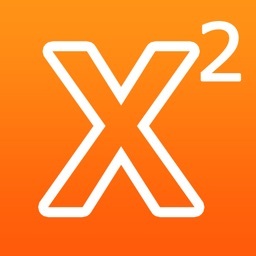 Supports fractions and parentheses. 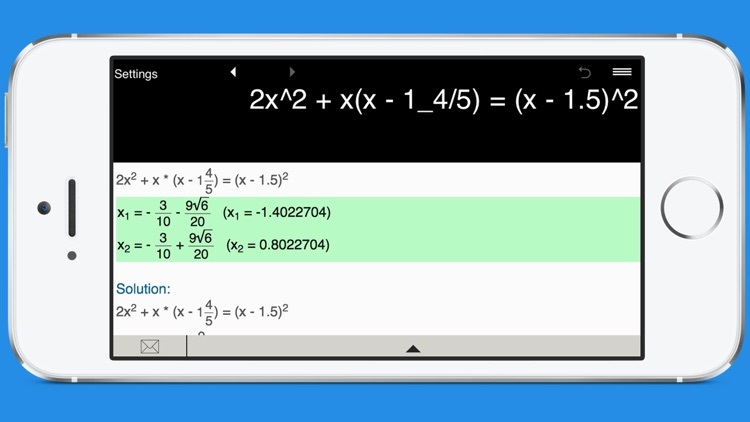 Note: The calculator does not solve equations with a variable in the denominator. 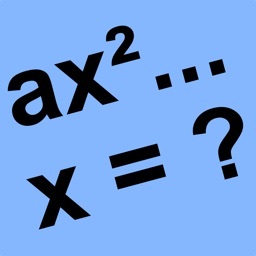 Pre-defined formats to solve quadratic equations in the form ax^2 + bx + c = 0, ax^2 + bx = 0 and ax^2 + c = 0. 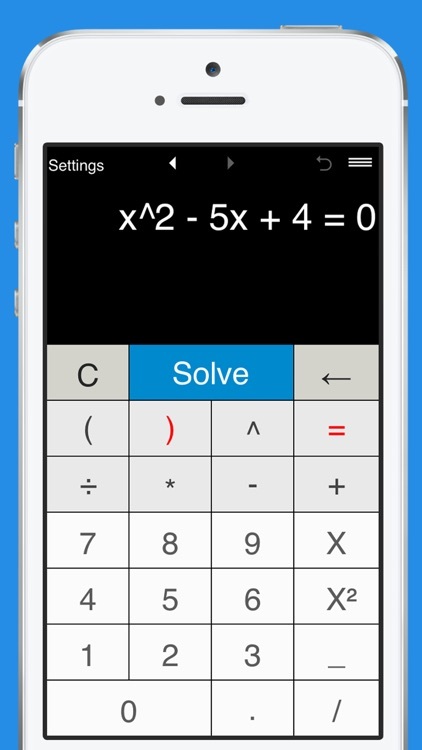 Just enter the values of a, b and c, and click Solve. 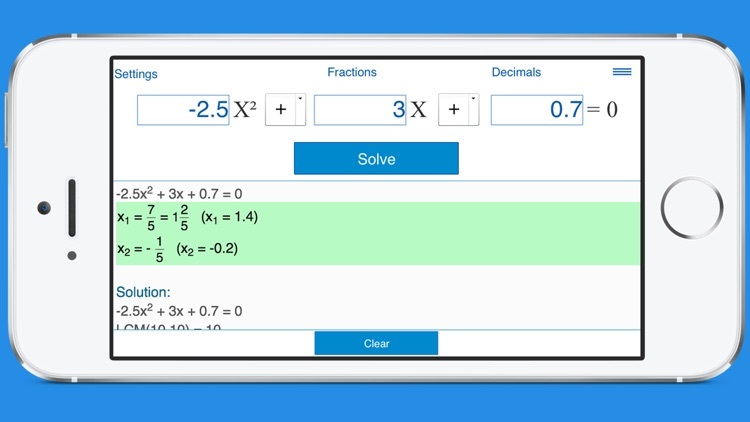 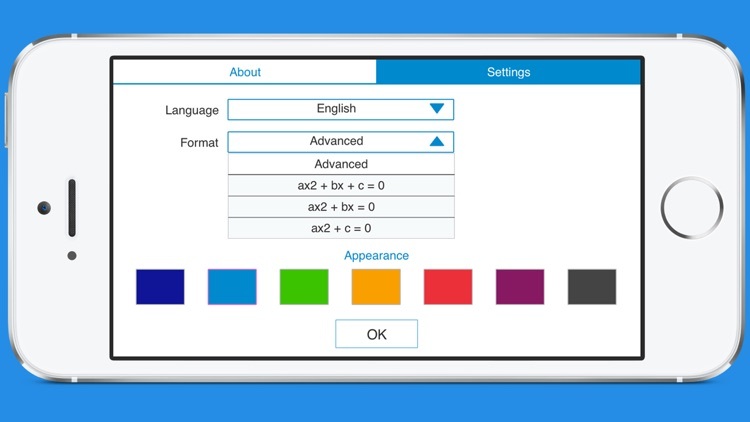 You can enter integer, fractional and decimal coefficients. 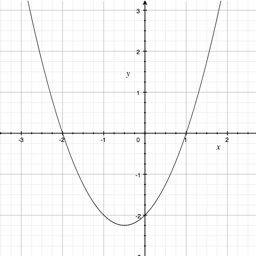 Stores history with the possibility to recall previous equations.